A fall arrester accompanies the user upward freely on a wire cable or polyamide rope and blocks in case of a fall. A suitable fall arrester must run along without affecting the user. The rope and the corresponding fall arrester form a unit and are certified together. Incompatible runners and ropes are a great risk. In the area of cableway masts, telecommunication and electrical masks, fall arresters allow permanent fall protection for ladders, ascents and descents. The Fallbloc is a simple and easy-to-use device, which is compatible with the IMMOOS climbing protection system. On the IMMOOS Fallbloc climbing protection system. On vertical, straight and/or curved stretches. Unlimited mounting configuration on all bearing structures. • For use on different wire cables (see following list). • Problem-free hooking and unhooking at every location desired. • The restraint force occurring in the fall is absorbed by opening the fall energy absorber. 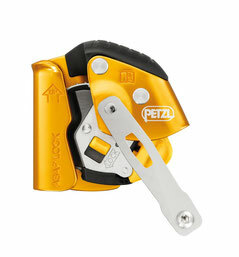 Connects the ASAP or ASAP LOCK mobile fall arrester to the harness. Allows the user to keep the rope at a distance. Height safety device for securing people working at heights. 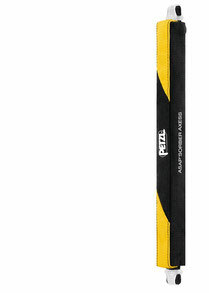 Pull-out belt, blocks in case of an uncontrolled fall. Integrated energy absorber. 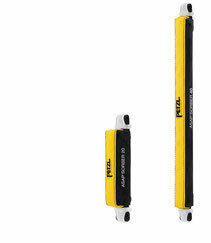 The height safety device ESD is available in different lengths. The ESD system reduces the impact of a fall-crash on the user's body.